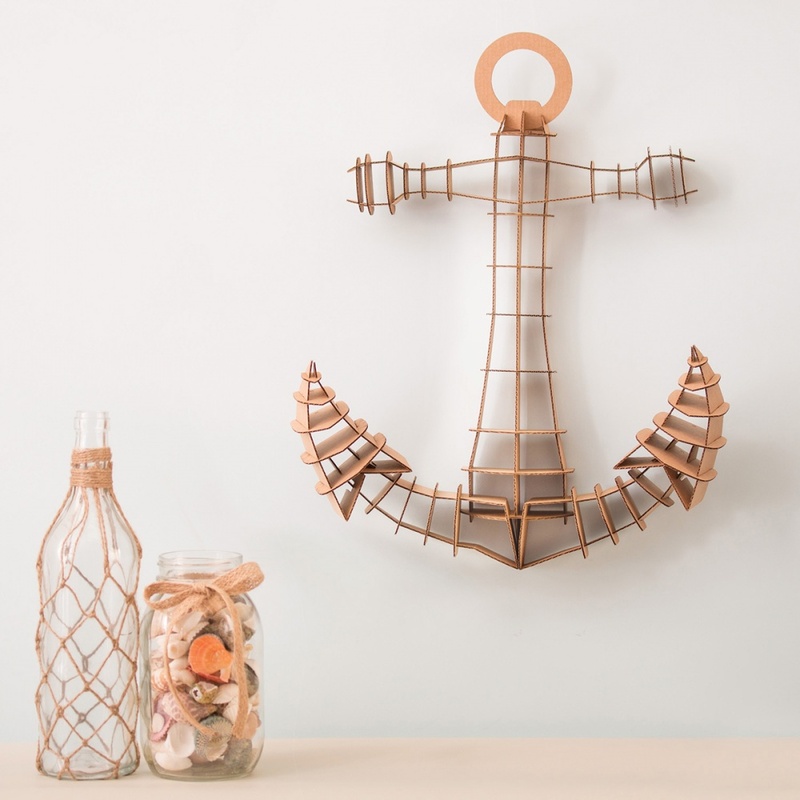 This DIY ship anchor kit is made up of pieces of corrugated cardboard laser-cut for precision fit and easy assembly using slot construction. It comes unfinished so you can decorate with paint, glitter, scrapbook paper or other craft materials. 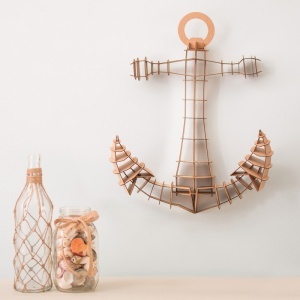 Perfect for seaside and summer themed projects.